It is among Semmelweis University’s missions to maintain contact with all the graduates, lecturers and health care workers who once worked within its walls. The Alumni Directorate strives to serve the University’s communities in order to facilitate the strengthening of existing relationships, and the long-term attachment of alumni to not only their Alma Mater, but also to the smaller professional community with whom they had studied, taught, or conducted research over the years. 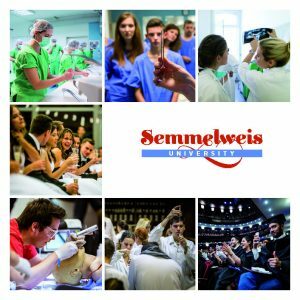 The Semmelweis University Career Centre was brought into being by the University Senate in 2006, with the intent of providing professional assistance to students during and after their university years. The Office’s staff members perform a diverse range of tasks and activities, primarily assisting current and former students through career consultations, trainings, and career fairs. 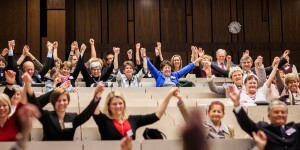 A “Career Development in Health Care” course – unique in Hungarian health care – has been launched under the management of the Career Centre, which promotes the creation of further development paths at the University. The Friends of Semmelweis University endeavours to explore and nurture the University’s historical and present-day traditions and culture. It additionally takes part in coordinating various student competitions. The Graduate Career Tracking System (DPR) is one of the main elements the Social Renewal Operative Programme grant, which the University successfully won in 2009 (project code: TÁMOP-4.1.1-08/2/KMR). 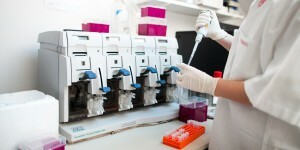 Through this grant, the University is working on bringing the Semmelweis Community – Semmelweis World project into being. Its Student Motivational Survey seeks to map the students’ motivations for careers and continuing education, their training and labour market expectations, and career strategies. This survey is repeated following the students’ graduation. In the case of graduates, the career tracking aims to map the state of the labour market, employment experiences, and career strategies, as well as to evaluate the transition between training and the labour market.